Swami Atmajnanananda, Vedanta Society of Greater Washington, D.C.
•	Practice twice daily, preferably in the morning and evening at fixed hours. If convenient, you may also practice at other times. •	Preferably one should sit on the floor using a cushion or mat asset apart for this purpose alone. You may also sit on a chair, but refrain from reclining against the back. •	You may practice either the Bhakti Yoga meditation depending on your personal preference, but it is suggested that one stick to a single technique for best results. Occasional practice of the other technique is also fine. •	You may practice while listening to the guided meditation CD or proceed independently utilizing techniques presented herein. •	Note: One’s ‘personal God’, as referred to in the Bhakti Yoga meditation guidance, is the same as the Chosen Deity (Ishta Devata) or Chosen Ideal and will vary according to the faith of the aspiration. Thus, one may mediate on the Hindu Gods such as Shiva and Vishnu, Goddesses such as Durga and kali, on the Incarnations of God such as Rama, Krishna, Buddha, Jesus Christ or Ramakrishna. For further details about meditation practice you may contact any Vedant Society (Ramakrishna Mission centre). Meditation is an important means of making the body, mind and spirit sound. Even a little, sincere and regular meditation practice combined with a wholesome life style helps to remove everyday stress and strain and keeps one strong, cheerful and peaceful. Meditation elevates on to a higher consciousness that eventually leads to spiritual illumination. 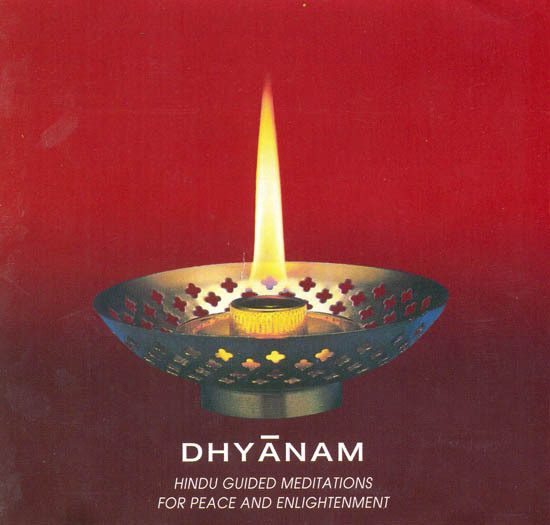 This CD contains simple, practical and step by step guided meditation following age-old Hindu spiritual traditions that have evolved various universal meditation techniques for aspirants of different aptitudes.